Don’t argue with someone until you’ve done this! It’s been a ‘good’ summer for some advocacy groups. There have been victories in areas ranging from local to national to international. Therefore, lots of folks have been declaring progress in their pet area and calling GOOD what another might actually find BAD. pointed out that depending on one’s presupposition, this achievement could be viewed as a long-awaited positive change. Let’s brainstorm why some people both in and out of the military consider this a promising step forward. 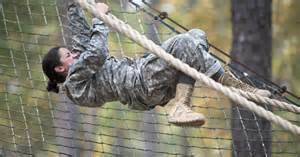 then, it follows that allowing women to try out for and complete the Army’s ranger course is GOOD. Let’s look at another issue in the news, the recently released videos about Planned Parenthood’s complicity in marketing fetal body parts. How do you know what someone’s underlying value or assumption is? You ask them! BEFORE you start to argue/discuss. Questions are your best friend. Don’t you think that it is better NOT to risk coming across as arrogant or even mean-spirited by plunging directly into the debate without taking the time to learn more about the other side? Asking background questions with a kindly and NEUTRAL tone puts the other person at ease. And while you’re investing in this verbal research, don’t forget to seek clarity of terms. It might help steer your conversation if you know what the other side means by even such an innocuous concept as GOOD.